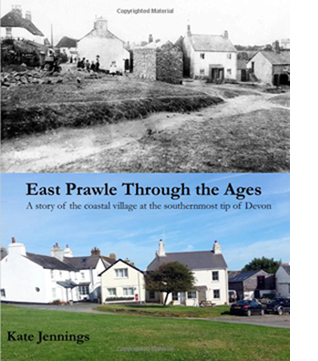 East Prawle is now celebrated more for its walks, beaches, coastline and popular Pig's Nose Inn. But its history is still there and in this book much of it has been lovingly researched and recorded from conversations with the more elderly locals and also from memories and tales passed down to the younger generations. In this way it has been preserved for posterity. Kate has built on the memories by developing many of the topics more deeply, and has been able to set a historical framework to much of the personal memories and recorded practices. Illustrated with fascinating photographs and drawings, the book is like that hidden chest left for years in the attic, and finally discovered. Memories half forgotten and stored away have been excavated by Kate Jennings and presented in this delightful book. The importance of records like this cannot be underestimated as generations die and memories are lost. So much of local and social history is unrecorded since much of written history is about great events and changes, while the routines and adjustments of everyday life are forgotten. As a result of this book, they are not 'hidden from history' but saved for posterity. East Prawle has been a farming and fishing village for thousands of years as well as hosting various activities including smuggling, piracy and the plundering of the many ships wrecked in the area. Prawle’s unique geology from Bolt Tail to Start Point contains metamorphic schists from various eras and has been described as ‘perhaps the finest headland on the South coast of Devon’.